The 2019 Volkswagen Tiguan is a unique SUV in a very, very busy segment. There are indeed a number of compact SUVs at the moment and each one is able to meet a specific need or several needs. That said, in its price range, the Volkswagen Tiguan is the only model from Germany origin and its unique engineering gives it a more dynamic and sportier overall personality than your average compact SUV. The Tiguan is a SUV that’s a little more refined, a little sportier, a little more agile and a little more luxurious than the usual SUV in this segment. Even its warranty is unique as the Tiguan is protected for up to 4 years or 80,000 kilometers instead of the usual 3 years or 60,000 kilometers. In short, the Tiguan is for those who want luxury and German engineering without paying more. Let's take a closer look at what allows the Tiguan to stand out in its segment. 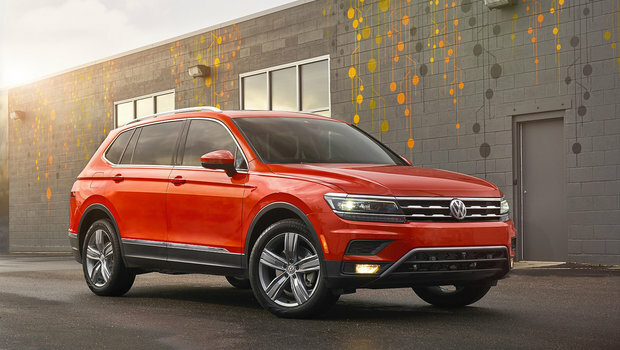 The 2019 Volkswagen Tiguan is powered by a 2.0-liter turbo four-cylinder engine developing 184 horsepower and 221 lb-ft of torque. This engine, paired with an eight-speed automatic transmission, offers more torque than any other standard engine in the compact SUV segment. Conversely, its average fuel consumption rating is only 9.0 liters per 100 kilometers. 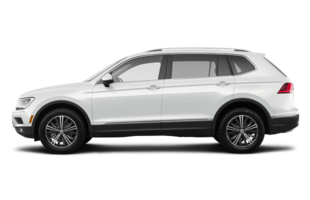 The 2019 Volkswagen Tiguan offers more than 1,000 liters of cargo space behind the rear seats, which puts it above the average in terms of interior space and versatility. That said, the Tiguan also offers a fairly unique element for a compact SUV, a third row of seats. The latter can accommodate seven passengers when needed. The Tiguan offers a modern and refined interior where finish quality is truly exemplary. With the new Tiguan, you can even get a fully digital instrument display which allows you to configure the information according to your needs. VW’s Virtual Cockpit as it’s called adds a touch of luxury to the interior of the Tiguan while being particularly ergonomic. 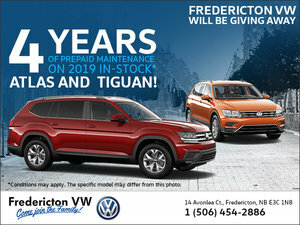 Come meet us today at Fredericton Volkswagen to learn more about the new 2019 Volkswagen Tiguan.